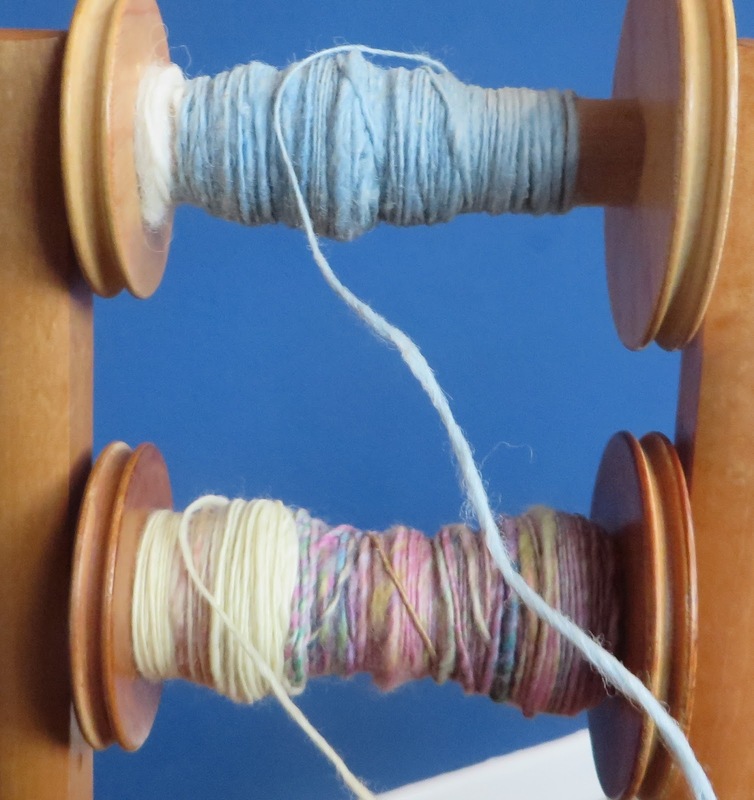 Welcome and Happy 2018. I hope you like the new look to my blog, it's still a work in progress, I want to keep it clean, fresh and easy to view and navigate around. Interesting article if you want to know the origins. 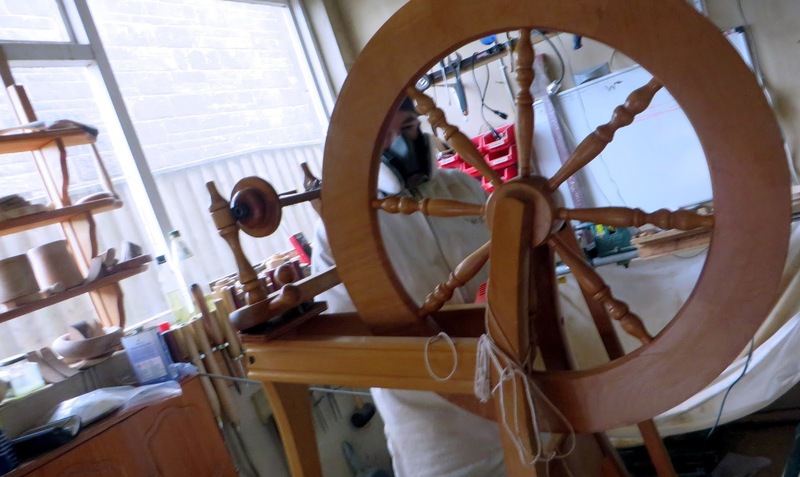 Well I felt my faithful Ashford Spinning Wheel deserved a really good make over and a bit of pampering to start the new year of spinning -so a visit to Wright Turned workshop (aka Skipper). Where it was cleaned, polished, oiled and buffed to perfection, much more thoroughly than my usual regular maintenance, I was so pleased and excited to get back to my spinning and set to work immediately. 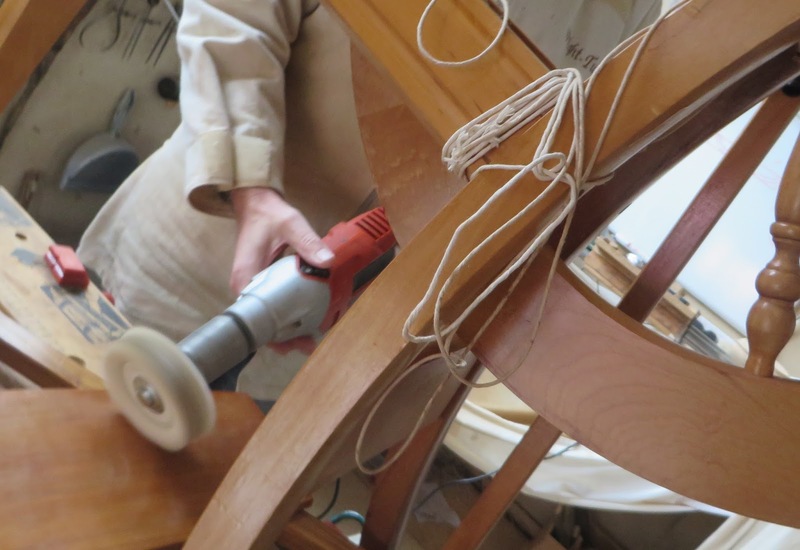 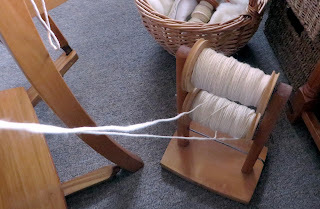 A smoothly running Spinning Wheel is a joy to use. First task was to ply up all those bobbins and spare singles to free up the bobbins for more spinning. 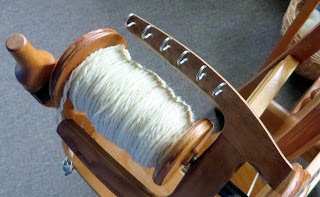 Plying the threads together to produce 2 ply yarn and filling a new bobbin on the wheel. 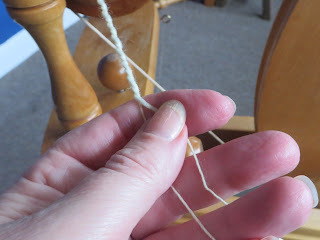 You can see the wool thread held by my 3rd and 4th finger and the plied twisted yarn feeding up away from my thumb and index finger. 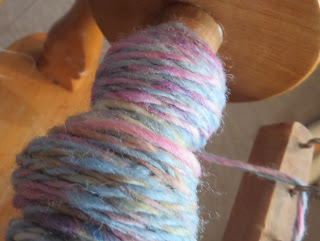 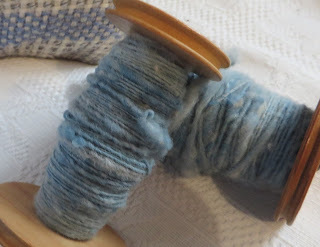 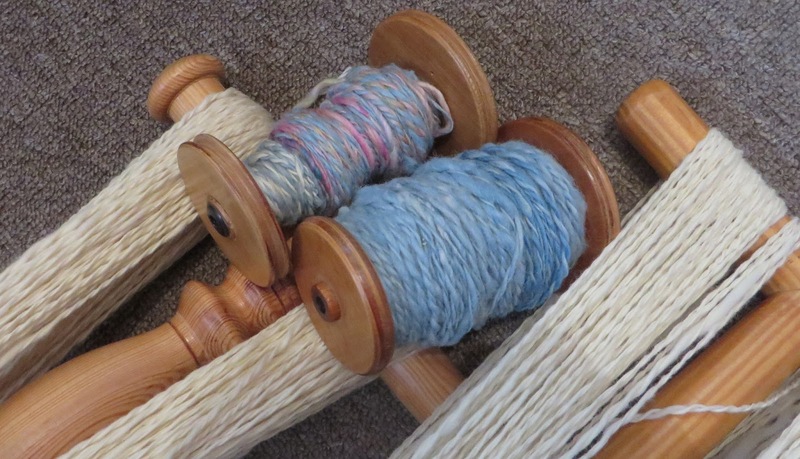 I had some textured hand dyed woad oddments on a couple of bobbins so plied those too. 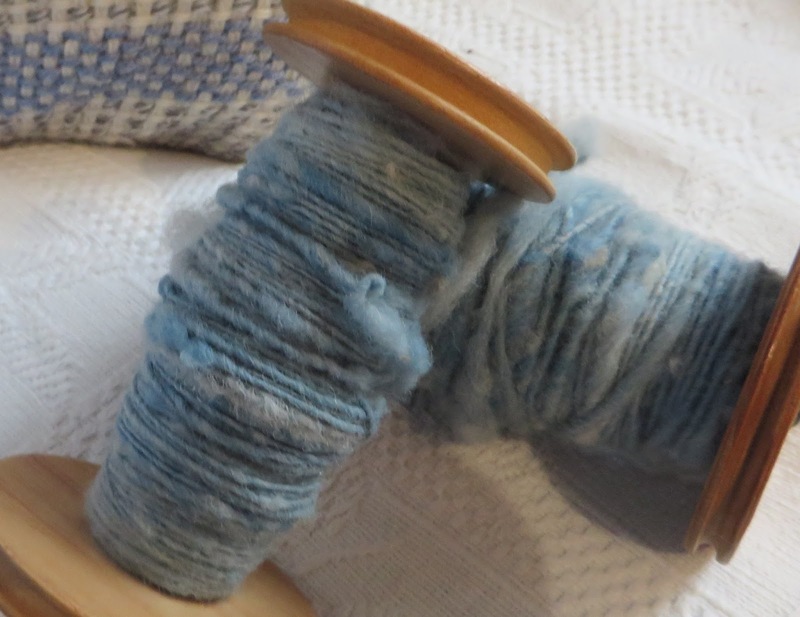 I still have to sett the yarns by washing them, but I have some more lovely Stash to start 2018 knitting and weaving projects.